Publimetro: Lebanese army:"Israeli soldiers wounded in Lebanon"
Lebanese army:"Israeli soldiers wounded in Lebanon"
BEIRUT — The Lebanese military said a group of Israeli soldiers crossed the border into Lebanon and were wounded in an unspecified explosion early Wednesday — a rare incident along the heavily guarded and volatile frontier. The Israeli side appeared to dispute the location of the incident, saying four soldiers were wounded while carrying out routine activities along the border with Lebanon. The Lebanese military called the incident a "new violation of Lebanese sovereignty," and said in a statement that it was investigating the nature of the pre-dawn blast. It gave no specifics as to the number of soldiers who were wounded or how many had allegedly infiltrated into Lebanon. The statement said the Israeli troops reached as far as 400 meters (yards) inside Lebanon in the Labbouneh area near the coastal town of Naqoura. But in Israel, Defense Minister Moshe Yaalon said a blast wounded four soldiers, some lightly, others moderately, "in operational activity along the Lebanon border." He said the troops were carrying out routine activities "aimed at providing quiet to the residents of the north in particular and the residents of Israel in general." "During the operational activity, the force came upon an explosive," he said, adding that the military was investigating whether the blast was caused by an old or new explosive. "But this activity was done and will be done again responsibly and in consideration for the security of the people of Israel," Yaalon added. It was not immediately clear why Israeli soldiers would have been on Lebanese soil — a rare occurrence since Israel withdrew its troops from the country in 2000, ending an 18-year military occupation there. Israel fought a war against Lebanon's Hezbollah in 2006, which broke out after the Iranian-backed militant group's guerrillas crossed into Israel and captured two Israeli soldiers. 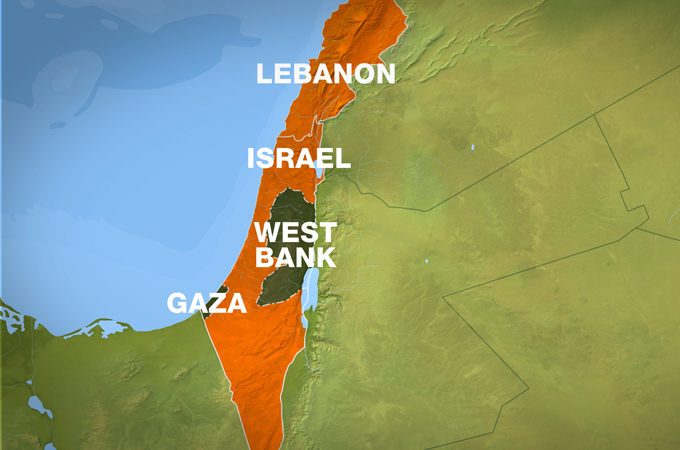 The ensuing month-long conflict killed about 1,200 Lebanese and 160 Israelis. The last serious clashes along the frontier took place in 2010 when Lebanese and Israeli troops exchanged fire across the border, killing at least three people. Meanwhile, Lebanon's state-run news agency gave a slightly different account, saying the Israeli soldiers wounded Wednesday were hit by a land mine about 150 meters (yards) inside Lebanon. The U.N. peacekeeping force in the area, UNIFIL, was investigating the reports and a team of peacekeepers has traveled to the location where the Lebanese army said the blast occurred, mission spokesman Andrea Tenenti said. Lebanon's foreign minister, Adnan Mansour, said Beirut will file a complaint to the U.N. over the incident, describing it as a violation of the Security Council resolution that ended the 2006 war and saying it "reveals again the Israeli enemy's hidden intensions through its infiltration of Lebanese territory." 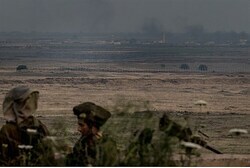 Israel borders both Lebanon and Syria to its north, and the Israeli military did not specify where along the northern frontier its soldiers were wounded. Israeli Prime Minister Benjamin Netanyahu wished the troops a speedy recovery while on a tour of a military base in the south of the country, and said "we will continue to act responsibly in order to defend Israel's borders."